The Hi-Flo Industrial Vacu-Press was designed specifically for professional woodworking shop that demand durability, dependability and versatility from their VacuPress. Modeled after the original Standard VacuPress, the Hi-Flo system delivers the same reliable performance with increased speed often needed by larger shops. This workhorse system offers maximum performance on all levels of veneering and laminating. can accommodate up to three bags with the addition of our manifold adapter). A “repeatedly accurate” micro pressure vacuum levels with a adjustable feature. This allows variable vacuum settings necessary for the various pressure needs of high elevation shops, curved work, and different glue types. 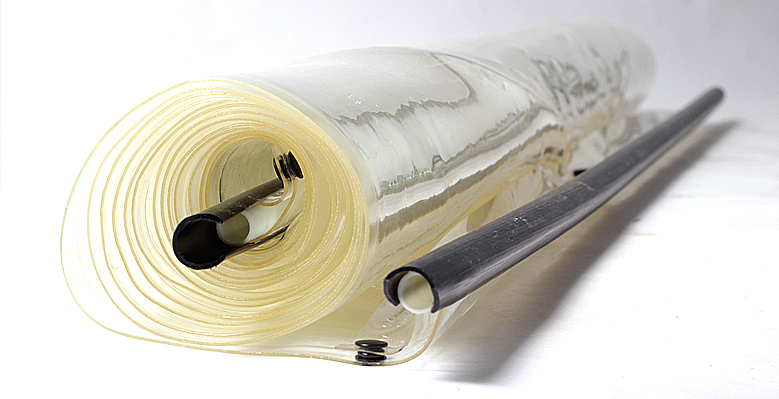 The Hi-Flo system uses high grade (30 mil) polyurethane double entrance vacuum bags. Polyurethane is a state-of-the-art membrane used extensively in high tech industries because it combines high puncture resistsnce with excellent elasticity, memory retention and resistance to extremes of temperature. These qualities make polyurethane the prevect material for maximum performance on flat, curved, and shaped work. VacuPress Industrial Poly bags are so rugged that we warranty them for 5 years against seam delamination and tearing. 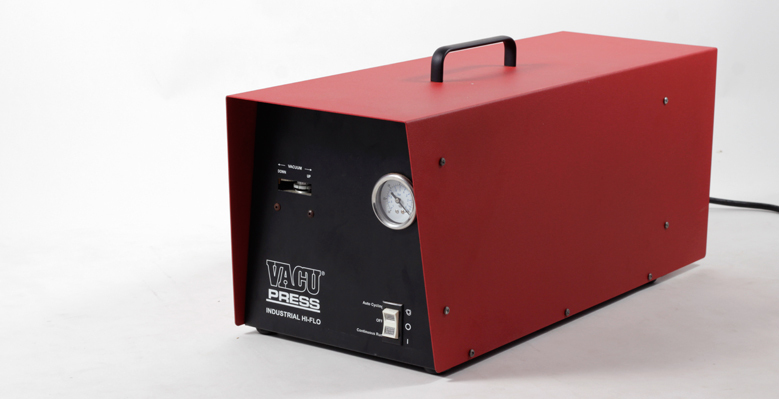 VacuPress Vacuum Bags have heat-welded seams and calmpless, airtight vacuum hose attachments. Bags for the Hi-Flo model are double entry and have convenient, movable C-channel closures that give an air-tight seal and a firm grip against the pull of curved work. The C-chanel closer at the end of the bag for smaller setups and faster pressing time. Sizes represent actual pressing capacity.